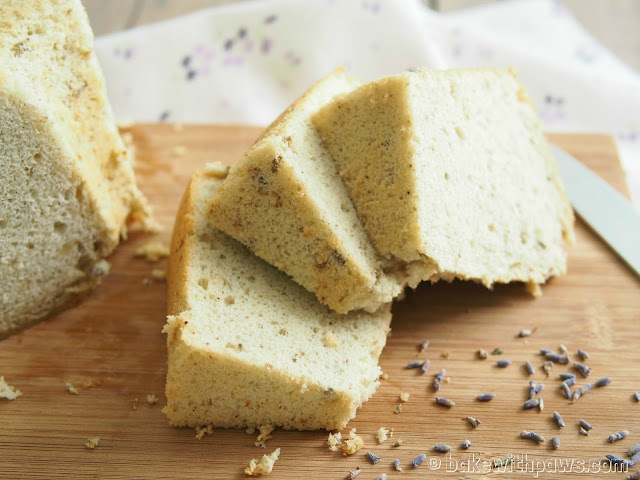 Instead of Earl Grey tea, I tried using lavender in a chiffon cake. It has an interesting taste. I personally like it as I love lavender. I didn't manage to photograph the whole cake because we were too greedy and ate some of it. 2. Infuse 1 tablespoon of lavender with hot water. Set aside to cool. 3. Blend Lavender flowers in the blender for few seconds. 4. Sift flour and baking powder. Add salt and blended Lavender. Mix well and set aside. 5. Beat the egg yolks, 20g sugar and vegetable oil with a hand whisk till sugar dissolves. Add in cooled Lavender tea and combine well. 7. Use a large clean bowl, making sure there’s no water, egg yolk or oil in it. Beat the egg whites with an electric mixer until bubbles form. Add the cream of tartar. 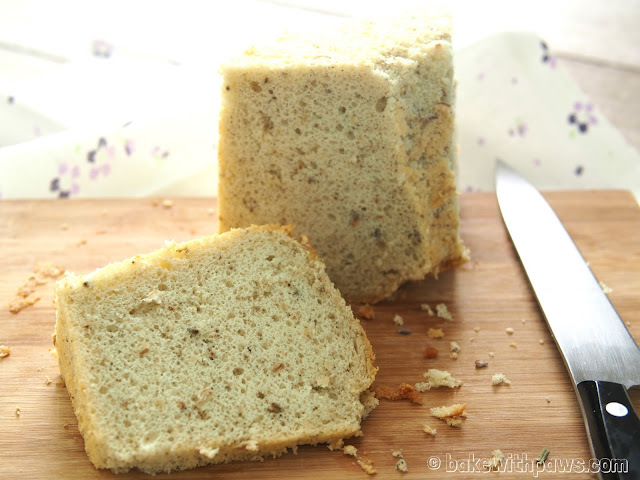 After mixing well, add the 70 grams of caste sugar gradually until stiff peaks form.